We recently wrote to you to inform you about our new plans and pricing. Below you will find more information, including detailed plan inclusions. Upgrade to Fibre Pro for $89.99/month on a no lock-in contract (normally $99.99/month). Alternatively, stay on Fibre 100 for $74.99/month when you re-contract on a 12-month contract term. You can also upgrade your modem to the D-Link EXO AC2600 for $99.99 (RRP: $399.99) when you re-contract your plan on Fibre 100 on a 12-month contract term. Simply complete the form below, the only choice to make is which plan suits your household. When will I get my modem? We aim to dispatch new modems within 3 working days- we will send you a text message when this has been dispatched with your tracking code. How do I pay for my modem? If you have a payment card pre-registered with MyRepublic, we will debit the cost of this before we dispatch your modem, if you pay by direct debit, one of the MyRepublic team will call you to take payment. Where will my new modem be sent to? We will send the new modem to your home address, please note this will have to be signed for- if you aren’t home you can pick this up from your local courier depot once you receive a missed delivery card. What changes with my contract? If you sign a new contract, you are committing to being a MyRepublic customer for the next 12 months, if you terminate your new contract before the end of your new 12 month term, you will be required to pay Early Termination Fees. Full information is available in the CIS document. What can affect my Speed? Hardware: You will need a modem capable of connecting you to Fibre Pro which can handle the high speeds available to you. 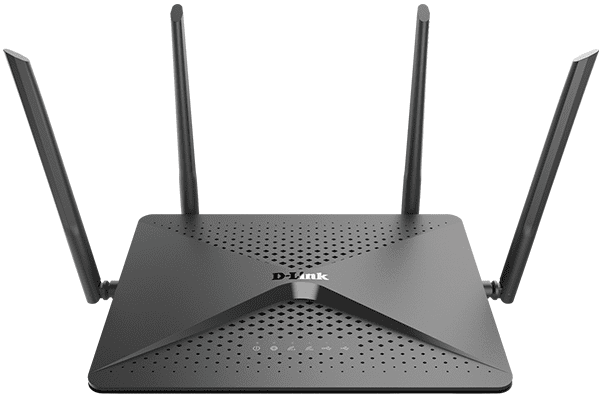 MyRepublic provides a choice of an AC1600 Wi-Fi Hub+ or upgrade to an Dlink EXO AC2600 modem. In large premises or in buildings with thick walls, Wi-Fi performance can often be the slow point in a fibre connection, for optimum performance we recommend connecting directly to your modem via an Ethernet cable. Network links: External network factors such as physical location of the host computer, and global Internet link between MyRepublic and the destination. This includes the backhaul network between your premises and MyRepublic and whether there is congestion on domestic and international links during peak periods. Software: There are many applications and programs that access the internet. These may be running in the background on your device which can use up some of your accessible bandwidth. Multiple Users on your connection and the applications being used. The more simultaneous streaming, gaming and downloads will affect the amount of bandwidth available to your connection, but with Fibre Pro- you have lots of bandwidth to go round even the largest homes. What happens to any additional services I have, e.g. Gamer or Home Phone? Upgrading to Fibre Pro will only impact the speed of your internet connection. All other service such as home phone, Gamer, and Static IP will stay the same. How can I upgrade to Gamer? You have the option to add Gamer when selecting your new plan.